Lifestyle branding is a marketing technique that goes beyond the typical jibber jabber of sales pitter patter. It empowers the idea of leadership and followers much like that of a cult, where relationships between the leader (the brand) and the followers (the customers) are built around shared values and the end result is a community of loyal users who were targeted specifically through their lifestyle attributes. It’s really all about tapping into the psyche of the consumer, their wants, desires and their identity so the brand can relate to them, build trust and maybe even dictate them in the long run. Sound sinister? Well it’s not because consumers get a lot in return from lifestyle brands as their purchasing options become less complicated. The consumer will build a personal relationship with the brand and think of it as an authority, something which could further direct their own lifestyle. Unquestionable trust is generated by the consumer for the brand, along with a sense of pride and personal promotion for the brand. Once the customer buys into the lifestyle brand, they’ll also become a part of the brand itself. What does your lifestyle brand promise? Innovating with a lifestyle brand. Further research and a bit of graft should give you enough data to develop a universal customer profile, detailing who your ideal customer is and their lifestyle. It’ll also reveal ideas about what they want to buy and why, along with what problems they need solving. This leads us onto the next point. What are you physically selling to your customer? Are you selling cakes or cars? Business services or badminton rackets? Whatever it is, what makes your product or service special and why should I buy it from you instead of from a competitor? 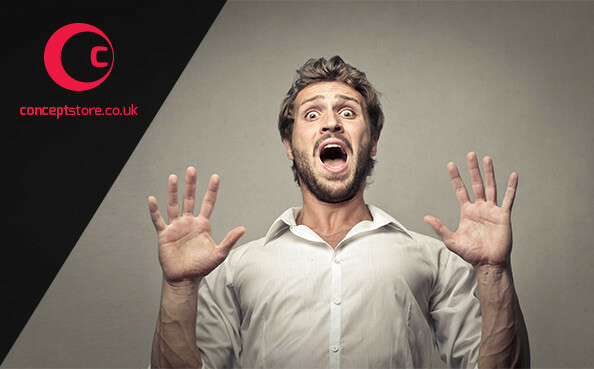 After answering the above we need to look at what are you selling to your customer ideally? What is it that your product or service can really do for your customer? What value does it bring? How can it enhance their lifestyle? Now it’s time to get creative with copy. Don’t just state the answers with plain sentences, over exaggerate it to develop a greater ideology. We sell game changing rackets, ideal for the competitive badminton player who wants to win. With the above revisions of ideology’s we’ve managed to define the products value and reveal a lifestyle. The ideology for the brand is: “For winners only”. It gives the brand an heir of exclusivity. When you buy it, your joining an elite club but not anyone can join the club, it’s “For Winners Only”. It’s defining it’s own audience. It says who the product is for and why they should buy it. It’s narrowing down on the customer profile and inspiring a community of likeminded people. Working with a good income to afford this expensive racket. All of the above is just an example, but good research should give you clear data about real people. This data may need analysis and interpretation but can reveal key common denominators to setup your lifestyle brand and a narrative that they can relate to. Before you do that, lets look at how a lifestyle brand can attract users psychologically and affect your business model. The brand connects with the consumer by communicating shared common values through lifestyle scenarios. The brand is telling its ideal customer that they’re a brand that the customer should know about, given that they share the same interests. The brand poses as a valid option for the ideal customer, not as a hard decision. The brand doesn’t need to sell itself because the customer can see the value or mirrored reflection of themselves in the lifestyle brand that’s being portrayed. This strategy reflects the customers aspirations for a lifestyle. It’s a lifestyle that the customer may not have but might want to get. It’s a sales focused approach as the brand is trying to sell the customer on becoming a part of the brand and club. A bit like selling a dream. A dictating lifestyle brand tries to relate to you and convince you of unidentified aspirations without fully knowing you. It’s basically a sales pitch for something you may not need, but dictating that you should have it because it’ll make your lifestyle better. All three methods can be used individually or together but in general your product or service in relation to your target audience will determine which route will work for your lifestyle brand overall. Selling to professional badminton players who live a particular professional and sporty lifestyle, focused on winning and needing the best racket? Selling to semi pro, amateur, keen hobbyists or sporty people who can splash out on an expensive racket to become a better player? Glamorising your racket to beginners who may not have a great knowledge of badminton or rackets and persuading them that they need this racket regardless of their actual needs. Your decision could be based on a number of things from market positioning, differentiation, quality of your product, sales figures, product costs or even your business model itself. It’s likely that you’ll be using all three characteristics to create your lifestyle brand but it’s worth noting how you can use the three characteristics to target different audiences based on a single lifestyle as well. Selling a £1000.00 badminton racket by mirroring pro players with the “For Winners Only” lifestyle, can work. It’ll work for aspiring players too but can a badminton novice afford the Raquet Victor 1000 or see the true value in the brand? A novice might deem it as a worthy investment seeing as the community of pro players and aspiring players swear by the product and if they aspire to be a pro themselves then they could be convinced to splash out on the Raquet Victor 1000. However, what happens if they can’t afford it? Your brand could be seen as a high-end luxury lifestyle brand or you could provide a payment plan to make it an affordable item for all. A payment plan makes it accessible, even a novice player to be a winner and live the winning lifestyle brand so why not dictate to them that your racket is the one that they should have. Overall this could have a great effect on sales but an adverse effect on your brand. If a special and professional racket that’s deemed “For Winners Only” suddenly becomes accessible to all, then it means that it never was “for winners only”, and the authenticity of your lifestyle brand will come into question. This is when the mirroring of customers gets confusing as there’s no clear idea of which lifestyle you’re trying to communicate to, so it’s important to choose your core audience first and connect with them specifically so you can build a true lifestyle brand with a loyal user base. In any case, the prowess of the brand is what makes your product or service desirable so you can capitalise on that by creating mini mirroring campaigns to attract niche audiences within your lifestyle brand. For example, in addition to the premium Victor 1000 for professionals why not create the Victor 100, designed for novices who want to be winners too! It’s still a premium product at a premium price but just less expensive and still “For Winners Only”. In doing so it welcomes new users into the loyal customer base and continues to create the “winning” lifestyle brand. Other brand values may also affect how you position your lifestyle brand but to see how creative and flexible it can really be, lets look at some working examples of lifestyle branding. Brands use lifestyle branding for both short marketing campaigns and overall brand representation, and this is reflective of the who, what, when, where, why and how in order to capitalise on sales, audiences and possibility of creating a community of customers. Then we have two adverts focusing on young professionals. One with a male lead and one with females. These are great examples of a brand trying to encapsulate a lifestyle, both as an overall brand representing modern day family scenerios and deviating specifically to resonate with another audience of young professionals for short and specific advert campaigns. It depicts McDonalds two most prolific customer sets. At first glance we can see that McDonalds is trying to be a lifestyle brand that “resonates” with customers but upon inspection there’s a deeper sense of aspiration and dictation within each advert as well. McDonalds is clearly posing itself as more than a restaurant, it poses itself as problem solvers, allowing its brand to penetrate any life scenario with the use of resonation, aspiration and dictation. The boy is socially stopped from exploring and having fun, except when in McDonalds where his freedom for fun is allowed and resolved. The overall ideology of the advert is to resonate with fun, family and freedom but dictate that McDonalds is the only place where you can truly have fun and be free. What’s more it shows that the Father can also aspire to be fun and free at McDonalds. The father finds carrot sticks for his daughter, late on Christmas eve. The advert resonates with the father’s dilemma as a parent, dictates that only McDonalds has the solution, leaving the father to fulfil his aspirations of being a good dad, thanks to McDonalds. The ladies in the lift are disengaged at first but learn that they have more in common and bond over their lifestyles with McDonalds. The scene resonates with female city workers, shows the aspirations shared between the two different classes of women and then dictates that McDonalds is the solution. The young professional finds fun, freedom, friendship and relaxation in McDonalds and not in work. Again the advert resonates with young city workers, visualising a busy career lifestyle that many aspire to have but the employee is left lonely and overwhelmed by the end of it. McDonalds dictates that the solution of fun, freedom and friendship can be only found at McDonalds restaurants (at lunchtime). Food tends to appear only at the end of McDonalds adverts which is a common trait for McDonalds marketing, signifying a lifestyle brand. All life’s problems are solved with a McDonalds. Gillette is a brand that predominantly sells men’s razors, using, men’s lifestyle as the embodiment of their brand. The advert below tries to attract all men using a collage of clean cut corporate types who attract loving women, young professionals working a fast paced life, short inserts of sports activities, and scenarios reminiscent of then popular movie scenes, all backed by a soft rock soundtrack. Very stereotypical of an average, well to do 80’s and 90’s man. Lifestyles, even one as universal as a mans, change and so did the Gillette marketing in the early 2000’s, adding a host of multi-cultural users, an inclination of real people and scenerios as oppose to theatrical scenes, and a clear case of mirroring men by resonation, aspiration, dictation (and actual mirrors!). Unfortunately they didn’t lose the cheese. After the noughties and working up to today, Gillette was able to delve deeper into demographics, splitting their core market into separate categories and target individual lifestyles of men, realising that the mans lifestyle is evolving to become much more original then their 1980’s counterparts. Gillette Targeted a sports lifestyle through resonation, aspiration and dictation with sporty brand advocates. Another evolution of man proved that not all of their core audience (young men) wanted a clean shave. Some sport stubble, goatees and full on beards so to reintroduce the brand to those who may have forgot about it, they added a new product to the line, targeting those men specifically. To connect to this specific consumer they mirrored lifestyles by way of brand advocates in music, art and style. The Gillette brand is for all men but by running mini campaigns, they can focus on the different lifestyles of different men and place the brand within that lifestyle. High end fashion brands or fragrance brands are a funny thing. They do see themselves as luxury brands, a cut above the rest and not available to the masses. That’s why we don’t see their adverts on TV until it comes to Christmas and valentines day where they suddenly become assessable to all. At these times of year, the luxury gift of fragrance is a popular option for consumers but never the less, these high-end brands don’t water themselves down to mirror every day lifestyles, they’ll create mini artistic movie masterpieces as tv adverts to sell their products. To connect with the consumer, they use lifestyle branding but not in an obvious way. Luxury fragrance adverts have no association whatsoever with their product, ie. There are no bottles, fragrances or expression of using the product anywhere within the advert, meaning the whole advert is meant to target a lifestyle. These are however extremely abstract and surreal adverts, in some cases with no typical connection to our everyday lives. We all have these emotions and desires, hence why these fragrance brands are trying to target us all with these adverts, albeit psychologically and subconsciously through art and a fantasy lifestyle. Each advert narrows down demographics via use of music which represents an era and the use a celebrity adovocate, chosen to specifically mirror the target audiences age, style and attitude. Now we’ve seen many ways that brands use lifestyle to market themselves, lets take a look at how you they strategically penetrate target audiences with a lifestyle brand. Narrative in lifestyle branding can be seen as the sales pitch for the brand, connecting all the dots to position, relate and penetrate the target audience. From watching the adverts I can make up the narratives as below. A fun and familiar place for modern day families and individuals where all problems are solved. Stand up, standout, be unique, because you’re allowed to be you. The narrative solidifies your purpose as a lifestyle brand letting you know who you’ll target and with what emotions. It explicitly attracts the right user via their lifestyle and it becomes a mission statement for your community of users to adhere to. Let’s take a look at the end effect for both customers and the brand. Lifestyle branding focuses on attracting a niche audience and building a loyal base of followers, all sharing a common interest and lifestyle. It builds a sense of community between the customers and the brand itself. If we look at the definition of the word “community” we can reveal how it has a marketing effect on the brand and the customers. People in general just want to feel special and lifestyle brands can help you do that by offering the consumer something unique, designed just for you, making you apart of their special community. This new attachment and acceptance into the community is transposed into a sense of accomplishment and superiority. It’s like being a part of an exclusive club. Clubs have always been reflective of lifestyles (the country club, golf club, craft club and the knitting club). People will of course brag or talk about the club as its apart if their lifestyle, creating interest and desire for others to join as well. At the end of the day, what’s better than a brand that makes you feel good about yourself? That’s what lifestyle brands do, they make you feel special and superior to be associated with the brand. An interest by customers who also think they are original, intelligent and distinct. The result is that the customer not only feels superior and special but also informed and intelligent because they are aware and a part of a specific lifestyle that others are not. This acceptance into exclusivity creates a boost of superiority and intelligence leading to condescension in ones and towards others. Lifestyle brands create products, services and communities specifically for a type of customer who lives a particular lifestyle and in turn, customers use the brand to define themselves. Lifestyle brands give customers a greater sense of identity, one that could be a better version then the one you have, or a version that helps to make you distinct. 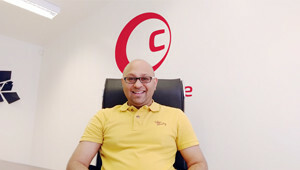 The benefits for the customer is that they can identify themselves with the brand, helping them to communicate their personality through association and the benefits for the brand is to embed themselves in the users lifestyle and receive a loyal customer base as well a word of mouth referrals. If a lifestyle brand can make you feel superior, special, intelligent and different then I’m sure that you’d be happy to brag about that brand and in particular your association with that brand to make yourself feel even more superior special, intelligent and different. In doing so the community member, follower or user becomes a fully-fledged brand advocate. They are your best sales man. A lifestyle brand can impact the lifestyle of a person whether it be physically or psychologically and because of that the community member is likely to stay a loyal follower of your brand for life, but that doesn’t’ mean that your job is done. To create powerful a lifestyle brand you need to keep up appearances and keep the community interested. Lifestyle brands have a big focus on innovation. Its not enough to do one thing and do it well. A true lifestyle brand will keep developing ideas to make more lifestyle products and services to enhance their effect on your lifestyle. Think of the likes of Apple. It’s a tech company. Or is it a lifestyle company. Users who own an Apple product usually own more than one, if not all of them. These products integrate throughout the home and become an essential part of your lifestyle. This method of marketing was nothing new to Apple, as they began creative computers which were naturally favoured by Creatives living a creative lifestyle. Apple used this creative lifestyle initiative to produce the I-Pod, I-Phone and I-Pad and that level of innovation took them beyond a creative audience to literally everyone. I-Tunes, Apple TV, syncing and connectivity have further extended their brand from a tech company into a lifestyle brand that’s immersive throughout the home. People claim to live an Apple life because of the value that the tech giant has added to consumer’s lifestyles. Apple stores have a unique image with glass windows like a house and tech support labelled as genius’ who live inside, sitting at the bar (the genius bar). People rarely go into an apple store to buy a product, they usually go just to hang out! All employees own and use Apple devices personally and in store. If this is not an attempt to make Apple a lifestyle brand then I don’t know what is? Lifestyle brands innovate with initiatives close to their heart, adding awareness and goodness to greater aspects such as good causes or changing the way an industry operates on a whole. They are game changing businesses even if they’re small businesses with little impact, they do things a bit differently or should I say specifically to meet the needs of their customers and create a real physical lifestyle as a brand. Innovation in every way keeps a lifestyle brand alive and kicking. Now let’s figure out how to use a lifestyle brand. Branding is a marketing tool designed to connect and communicate with customers. It’s goal is to generate a sale. Creating a sale can be done in many ways but the key with lifestyle branding is to not push for a sale because lifestyle branding is like a sales pitch in itself. The value, benefits, problems and solutions that it poses are already there and communicated to the buyer. If it’s done well, the buyer should approach you because your solution fits in with their lifestyle or desires for a lifestyle. It that sense a lifestyle brand becomes extremely easy to use because it communicates so clearly. If the racket looks like it resembles the brand promise of a “winning racket”, then I want it. It’s the allure and association that racket and lifestyle band brings that’s used to sell the brand. To create that level of allure and communication to the customer you need to use great design. 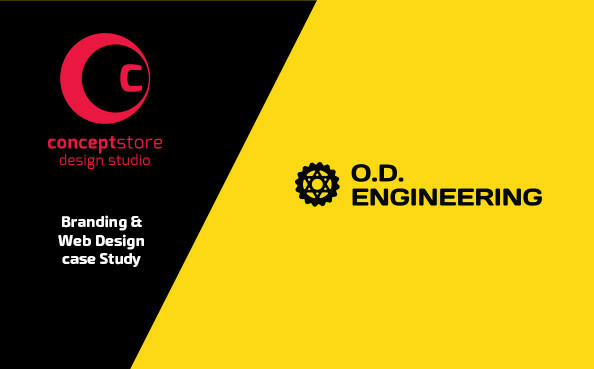 So far, we’ve gone over the strategy to create a lifestyle brand but design communication is where it all gels together and becomes a functional asset, using all the data and research developed so far as the logic for design decisions. Each element can be used and fine tuned to target a core audience by representing a lifestyle that you want to communicate to your customers. Setting a specific choice of design for each element enables you to create a strong system of design that’s unique to your lifestyle brand and connects with the intended audience. This system of design can then be used to market your business with consistency and repetition. 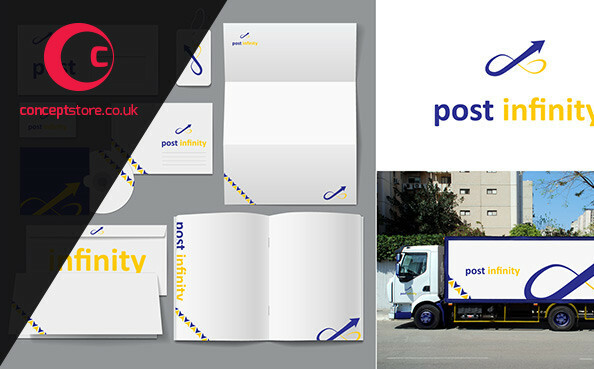 In doing so the brand design becomes familiar to customers, recognisable, trusted and remembered. As a lifestyle brand it will be considered as the go to resource for a particular problem that needs solving. Let’s take a look at an example of a brand using design to maximise their communication as a lifestyle brand. 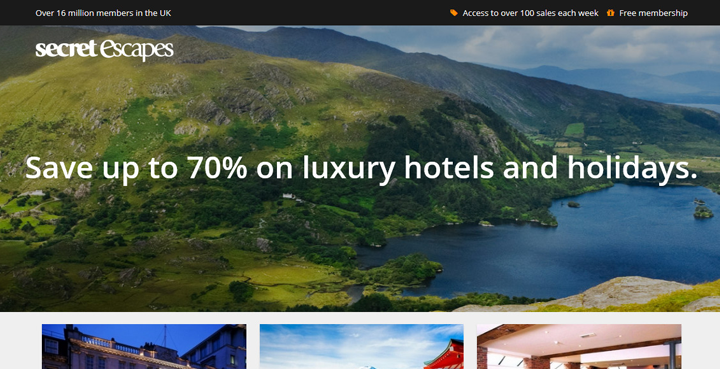 Secret escapes is a website selling holidays. You could call it a glorified online travel agent but it’s actually much more then that thanks to its branding. Let’s take a look at how fine tuned Secret Escapes branding is and how they’ve managed to differentiate themselves using lifestyle branding. All travel sites offer holiday deals and discounts. It’s their lure, like bait to get customers on site and browsing. It doesn’t matter whether you’re travelling to Spain, South Africa or Singapore on a luxury holiday or a cheap booze cruise, each agent will claim to have a discount or deal, saving you money. SecretEscapes is no different to other travel agents offering discounted holidays. They have a focus on luxury holidays with boutique experiences which position them uniquely in the marketplace, however, selling cheap holidays is what they do! There’s no difference between them and any other travel agent, except within their lifestyle orientated branding and marketing strategy. From the adverts we can see that Secret Escapes resonates with a refined audience of young, stylish, independent and well headed females who want a luxury holiday as oppose to a regular holiday. The adverts feature only other female holiday makers in the background (creating a community of women). Males are represented as hunky holiday staff or faceless and slow minded boyfriends playing catch-up. This specifies a female audience leading a single lifestyle or a female audience in relationships who take charge of booking their couples holiday. On the flipside the absence of male characters in the adverts creates intrigue for male viewers and aspirations to be just as clever by using SecretEscapes.com as well. With these adverts Secret Escape has mirrored their audience with a lifestyle brand that resonates and aspires with their target audience’s lifestyle. Each advert features whispered speech to emphasise the secret of insider knowledge, exerting that intelligent information is being shared. This poses the SecretEscape users as more informed and clever than others, but this information is willing to be shared with you the consumer so you can also be intelligent and well-informed. The holiday scenes are variable, indicating a variety of holiday locations suited to different holiday lifestyles, widening their audience to all females instead of just those wanting a certain type of holiday. It’s worth noting that the well spoken women, situated in a luxury retreat could come project SecretEscapes as an expensive and pretentious brand but a comical theme throughout the adverts creates a grounded and friendly personality for the brand, specifying its target audience as all women of intelligence as oppose to women of wealth. These adverts use a specific female advocate to engage, mirror and resonate with their core audience via a narrative but with mini campaigns, SecretEscapes creates aspirations for people who fit into a different demographic of people who may want a better holiday that’s associated with a wealthier lifestyle but can’t afford it. Whilst the tone of all commercials is light and comical, there’s definitely an underlying theme where the dominance of males and females, and wealth and intelligence is switched, hinting at girl power and information as king. 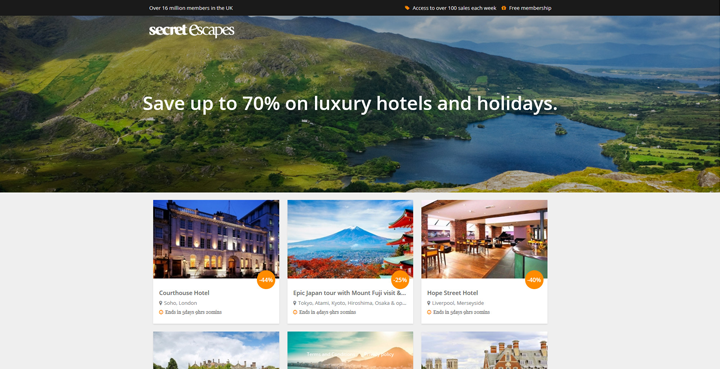 To differentiate themselves, SecretEscapes operate like a club in which the customer needs to be a member of, to access, view and buy a holiday deal that’s exclusive to Secret Escapes. The premise of a secret club makes Secret Escapes and its products, a sought after brand, not available to all. You need to invest in the brand by joining their club to get access to these secret deals but the truth is that anyone can join the club simply by handing over their email address. No fee, review or application is required, just an email address, hence why it’s the worst secret in luxury travel. Secret, implies exclusivity and a hint of special knowledge and intelligence. Escapes, implies freedom and in the plural form includes choice. Both aspects are carried through to the brand identity design. A type based logo reminiscent of a womens magazine logo or beauty product logo, using a lowercase serif font with a script style suggesting a personal, warm and feminine touch. The lighter variation of typography used for escapes adds class, sophistication and a hint of freedom, fantasy or mysticism to carry on the facade of being secret. The big “e” in my opinion probably highlights “big experiences” or “exclusivity” or a E fo “electronic”, suggesting that the brand is only available online. You could tell that this business is predominantly and casually targeting females just by looking at the logo but it doesn’t come off as too girly, feminine or fashionable. The emphasis was on simplicity and class to attract the core audience and then maybe a wider audience. Classic black and white exudes sophistication, style and a contemporary touch, complimented by a strong orange to add warmth and contrast, coupled with vibrant photos allowing the images to showcase the holidays without clashing with the brand colours. Softer greys are used instead of black for detailed text content to refrain from a stark or masculine impression. 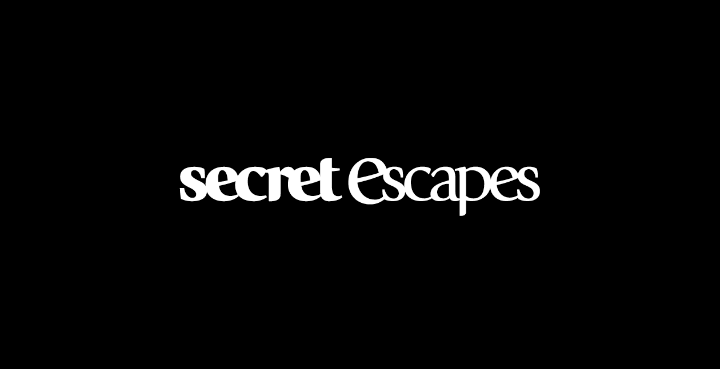 Secret Escapes use their “club” business model enthusiastically within their wording, clearly using words such as “member” and highlighting “member benefits”. This is all a part of communicating and driving the exclusive brand forward as a welcoming club which doesn’t show prejudice to membership requirements. It’s available to all who want to join. The wording in both tv advert and website always claims “Save up to 70% luxury”, to connect the two pieces of collateral together through consistent design. The word “join” as oppose to “find us”, “visit” or “buy now” is used as a clear reference to a club, community and privileged association. Its dictating that clever people like you should join the club. The Tv adverts, website and brand identity all share a common theme of elegance, style, minimalism and secrecy backed by magnificent and vibrant photos. From the first scene of the first advert the lady in the beach lounger is purposefully wearing all black, reminiscent of the brand colours. The advert finished with the lady again wearing black and the final logo shot displays the black, white and orange colour theme to reinforce the brand identity and connect the advert to the website. If you strip away all the branding then SecretEscapes is just another travel agent selling luxury holidays that might be up to 70% off. With addition of the branding elements, SecretEscapes is a brand catering to young and intelligent women who want a sought after and fashionable lifestyle featuring the finer things in life, obtainable by membership to a secret club offering discounted deals on luxury travel. On a wider level, the SecretEcapes brand is not racist, sexist, prejudice or snobbish. It’s a brand that’s available to anyone who’s intelligent enough to pay less for more. Join the worst kept secret in Luxury travel. As shown by all examples in this article, great design is a core part of developing and delivering a lifestyle brand from brand strategy and product development to brand imagery and design communication. The truth is that most people buy into the beauty or design of a product more so then the price or features. In most cases it’s design that creates desire and the aspiration to be owned. The lifestyle brand just helps to get that product into the right hands and keeps the customer coming back. Will your lifestyle brand resonate, aspire or dictate the customer? Will it represent the overall brand or a small segment of your customers? What’s the narrative for your lifestyle brand?